Rover's Team Jerseys are moisture management shirts. We offer a variety of different options with different price points to make sure you get the best deal. Each design can be made in several different styles. We offer standard jerseys, raglan sleeve with drop tails for extra tuck-in length, racerback jerseys*, and long sleeve jerseys*. *Only available in Full Dye Sublimated Jerseys. At Rover Plus Nine, we make our pants in America...Texas, to be exact. We have the best quality, most comfortable fitting softball/baseball pants on the market. 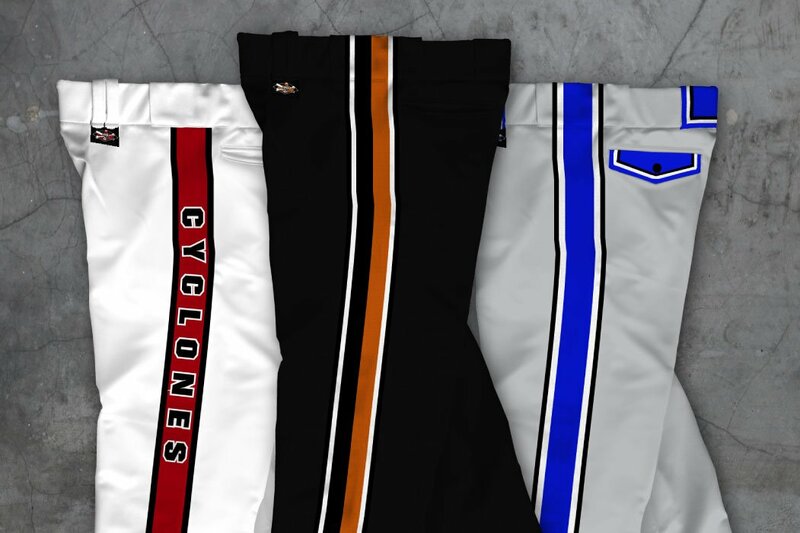 With hundreds of different design options, we offer softball/baseball pants with quality workmanship at a fair price (but not cheaper than the junk out there). NEW! 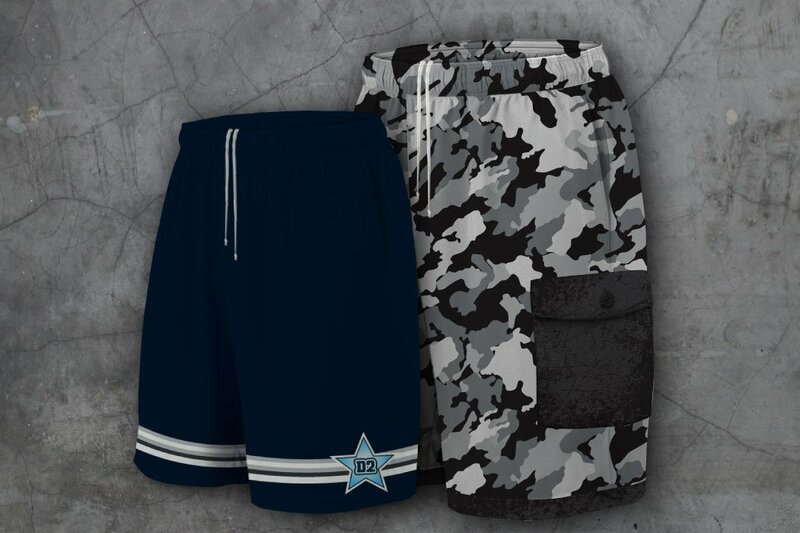 Sublimated softball shorts made with Rover quality and workmanship are now available! We offer several styles of shorts- solid, sublimated panels, or full dye sublimated short- to provide the best product at the lowest cost. Rover Plus Nine is an authorized dealer of Pacific headwear. 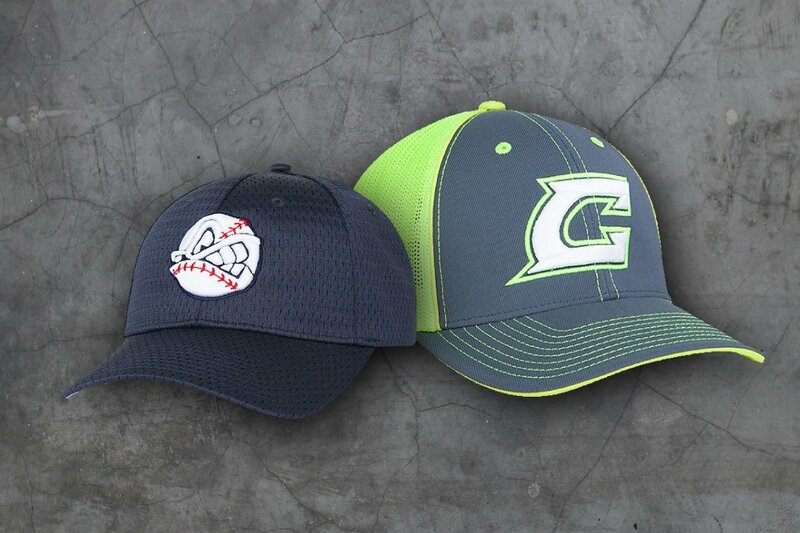 Using our site and the integrated cap builder we make it easy for you to choose your hat from one of the many styles offered by Pacific Headwear, design it, and submit a request for a quote. 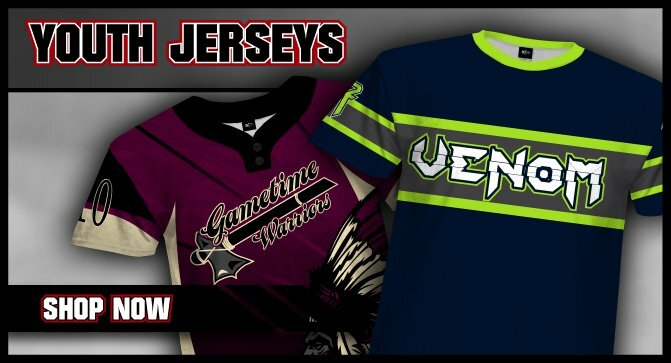 Rover Plus Nine now offers all our Full Dye Jersey Designs in Youth sizes. More products including youth pants, shorts and other softball products are coming in 2018. Get your youth team looking their best with Rover! Rover Plus Nine is a one stop shop for all athletes. 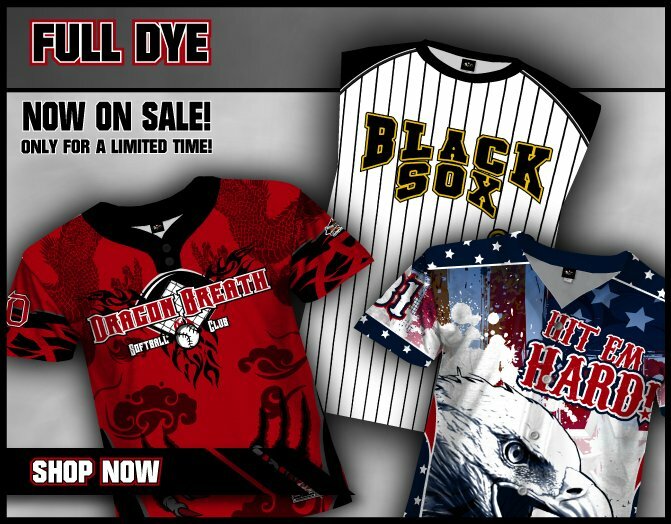 In addition to our unisex jersey tops, we now offer all our Full Dye designs in Racerback, V-Neck, and Sleeveless styles. More products will be coming in 2018! 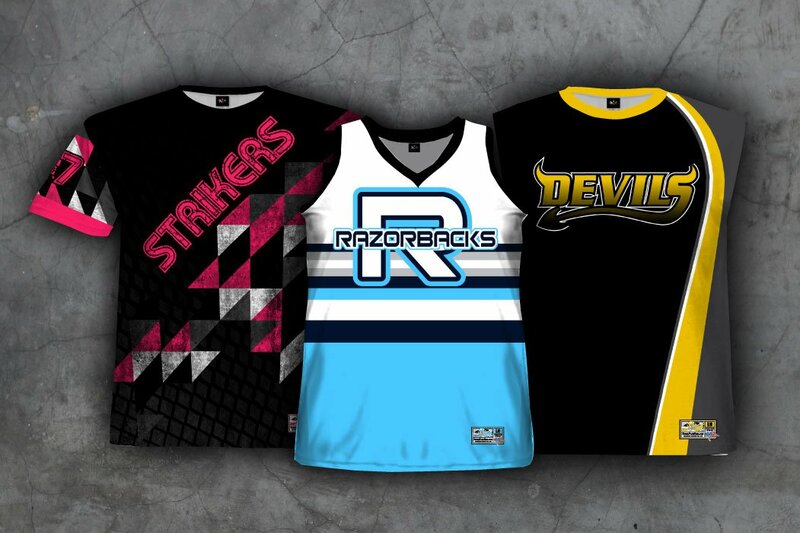 Rover's Full Dye Sublimation jerseys are moisture management shirts available in a Raglan Sleeve, a Standard Sleeve, Sleeveless, Racerback, or Long Sleeve designs. 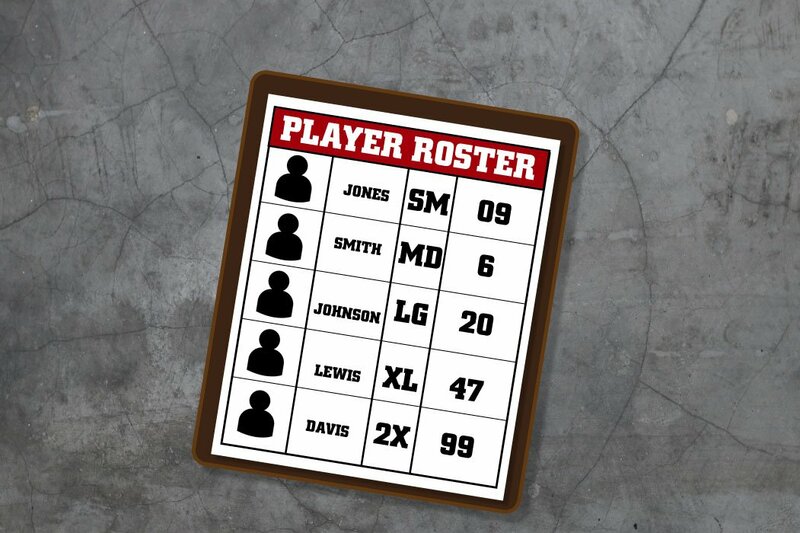 You can select from current designs or make your team completely custom jerseys. Rover Plus Nine has premium quality Sublimated Hoodies! On or off the field -- Rover's got the look for you. 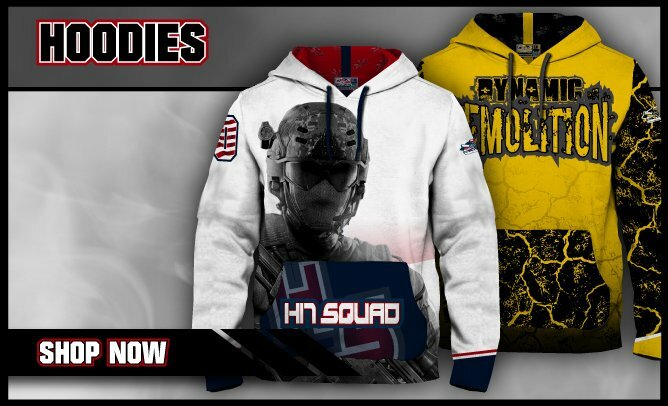 Whether it's one of our Standard White or Grey hoodies with your team logo and player numbers or our fully custmomized Full Dye Hoodies, we offer top of the line athletic wear for your team. 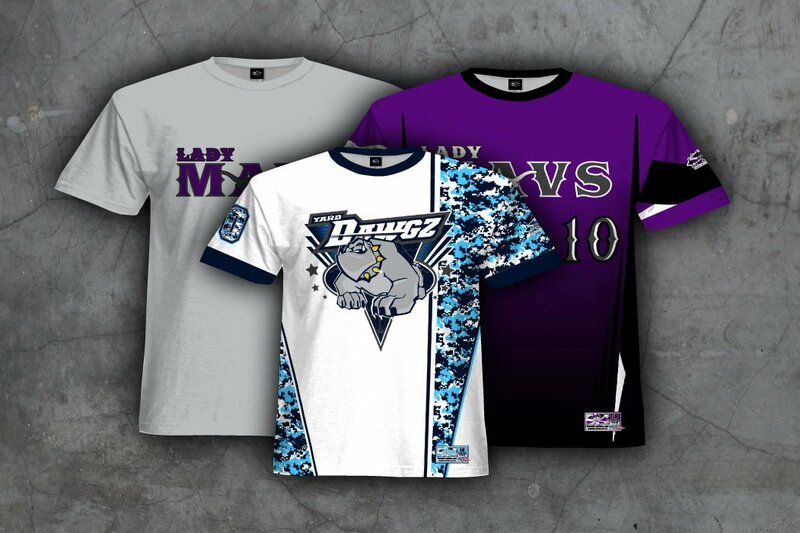 Rover's Jerseys come with one of our Logo Designs customized for your Softball Team shirts. 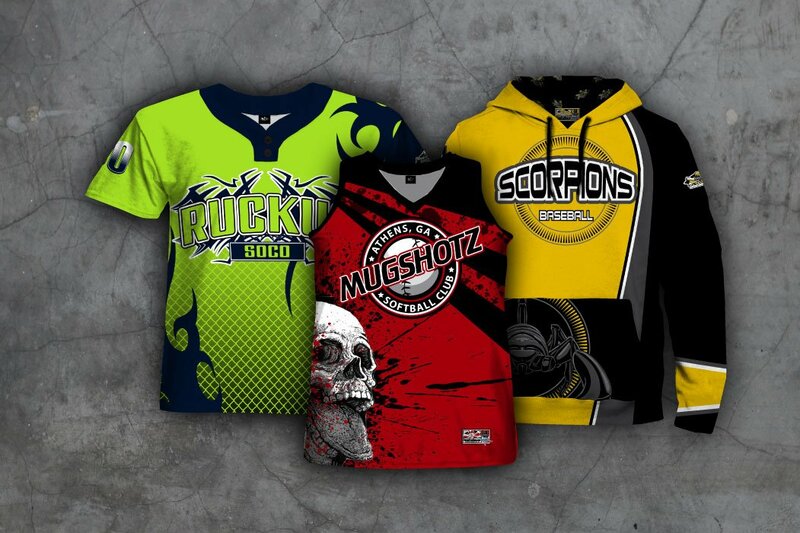 Choose your team colors and softball team name for the jerseys at no additional charge. Customizations to these logos can be made; art fees may apply. 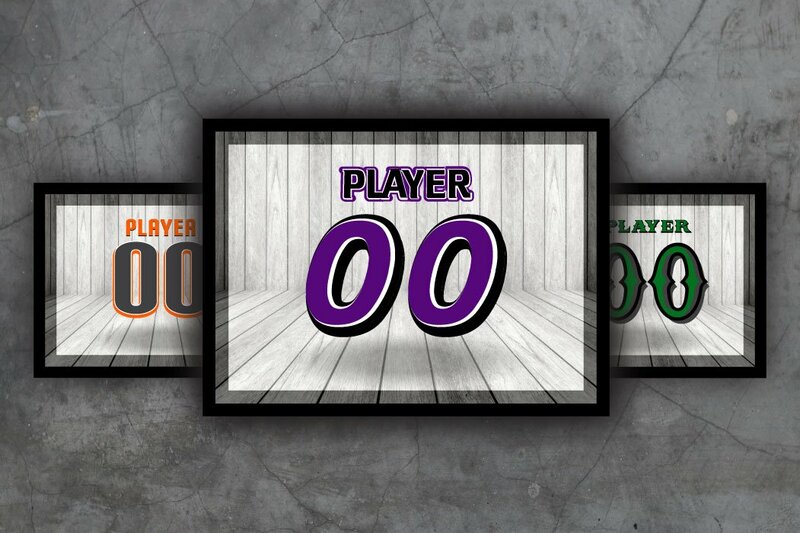 Customize the back of your Rover Jerseys with your team's sponsor information and player names at no additional charge. You can Mix and Match fonts and number styles at no additional charge. 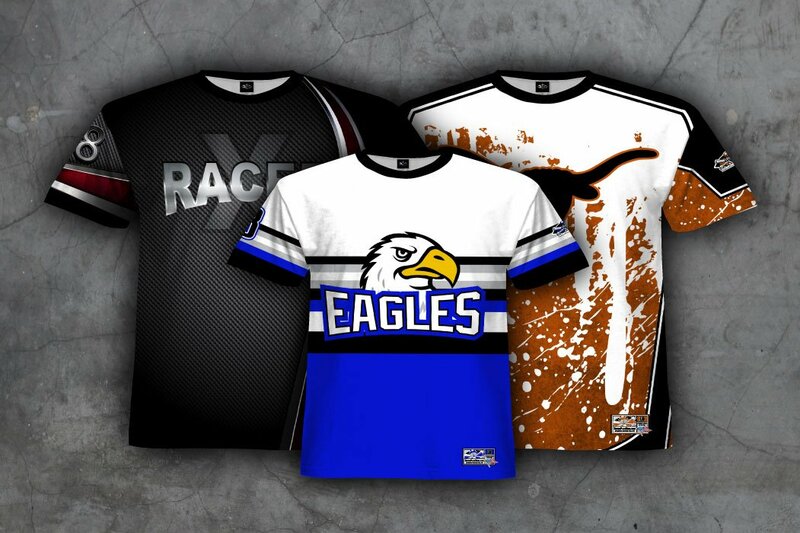 Rover Plus Nine offers all our jersey designs in a variety of styles. Please note that currently not all our jersey styles are available in Youth sizes, but more products are coming soon. Call Rover at 817-562-5300 for more details. 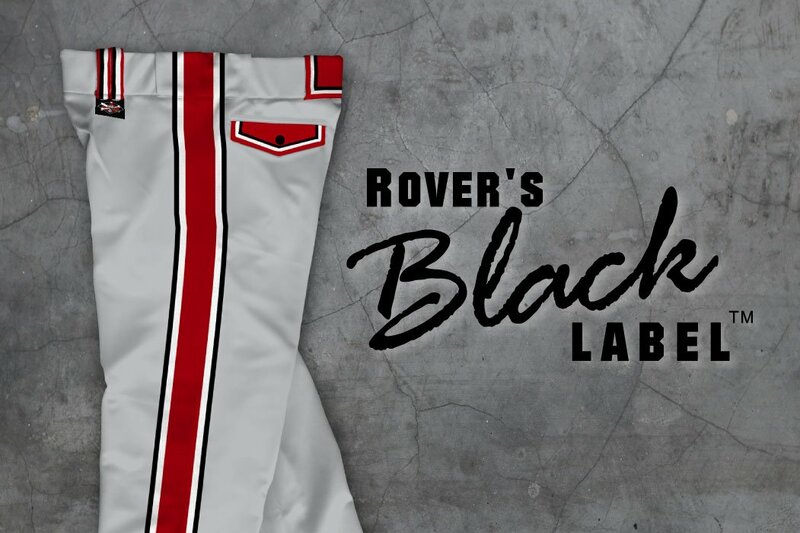 Rover's Black Label™ Pants are considered by many softball players to be the premier pant on the market today. These American made softball pants give you the best fit, the best quality, and the best performance; bar none. Rover Plus Nine has a wide selection of great leather softball/baseball belts and elastic softball/baseball belts in more than a dozen colors to match your team uniforms. 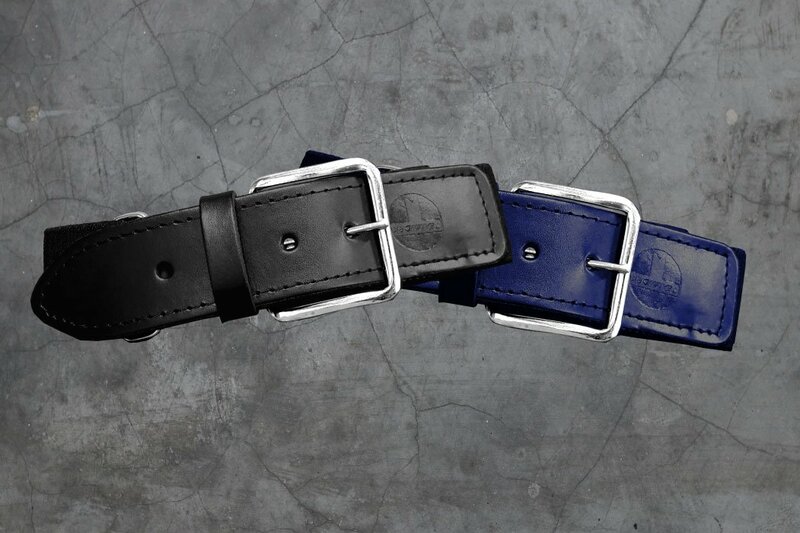 Make your uniform complete with a quality Rover Belt. Once you have placed your order for Custom Rover Pants, please email a copy of the downloaded form to Orders@RoverPlusNine.com or your customer service representative. Once we've received your online order and your completed size sheet, we will confirm your size information. At Rover Plus Nine, we make our pants in America...Texas, to be exact. We have pant styles for both Men and Women. Please click the banner to the right to get started. There has never been a better time to upgrade to Rover softball uniforms! 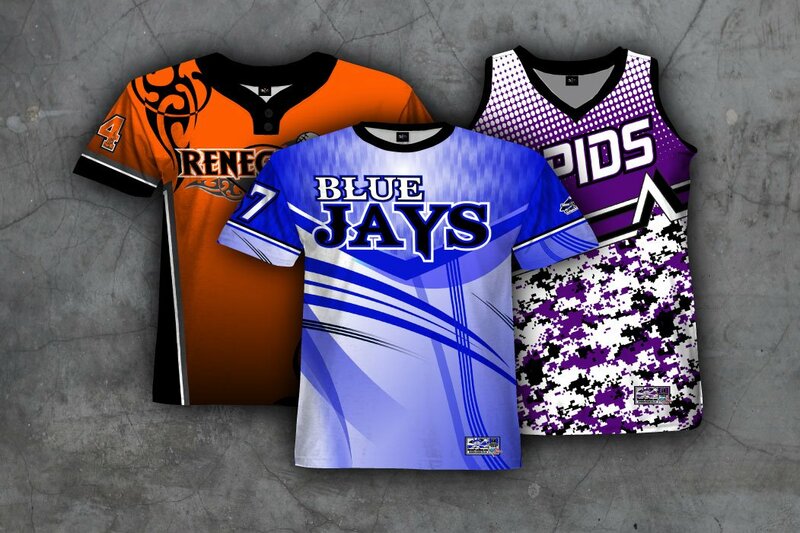 We have a variety of packages to help your team save money while getting quality softball uniforms. If you don’t see a package that meets your needs we also provide you the option to create a custom package! Don't see a package that fits your team's needs? That's OKAY! Rover has you covered with our custom package option. We give you the power to tell us what you want in your package and we will get back to you with a custom quote that will fit your needs. We love custom artwork! 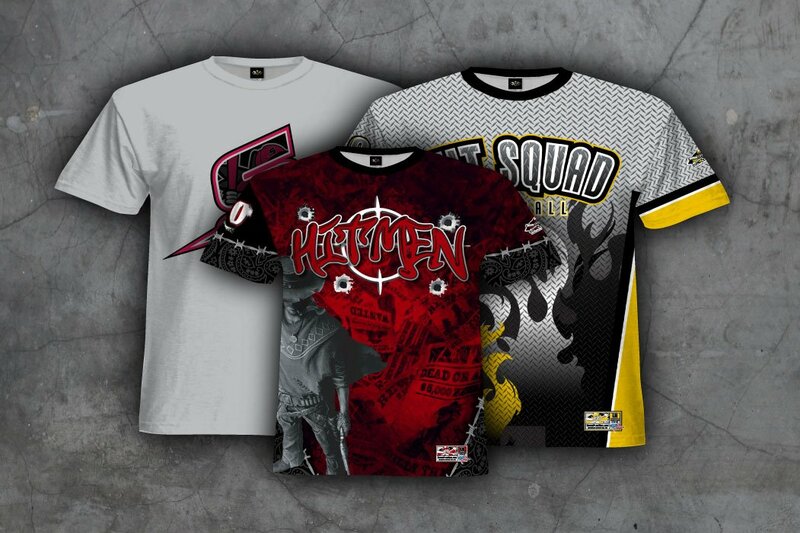 We encourage teams to customize their jerseys with their design ideas. Those wanting to incorporate their personal or sponsor art may be charged an art fee depending on the complexity of the art and the format in which we receive the desired artwork. Please call us at 817-562-5300 to speak to a representative. You may also email your artwork to Rover@RoverPlusNine.com to get an art quote. Be the first to get info on New Products and Special Offerings. Simply enter your email address in the white box below. Please note that current production times are approximations. Deadlines are not guaranteed unless you are using our paid Rush Service.Please contact Rover Plus Nine at 817-562-5300 for more details.